The Torrumbarry Weir Complex incorporates the original lock (1924) and a concrete-reinforced rubble wall surviving from the former weir. The old trestles and original steam boiler and winch-house are visible beyond that on the original island created in the bend of the Murray. 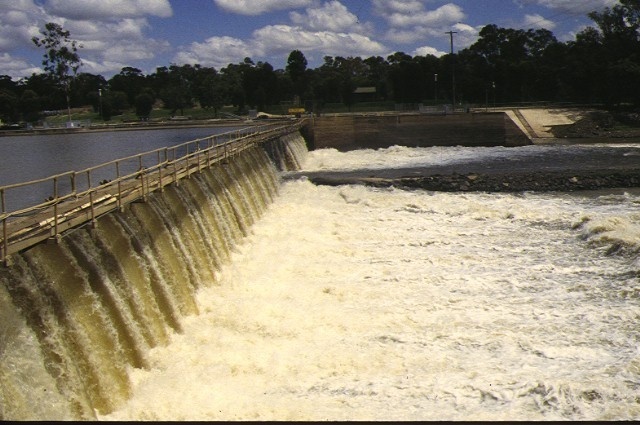 The Torrumbarry Weir is one of the fourteen weirs and locks built to control the waters of the Murray following the 1915 formal River Murray Agreement. 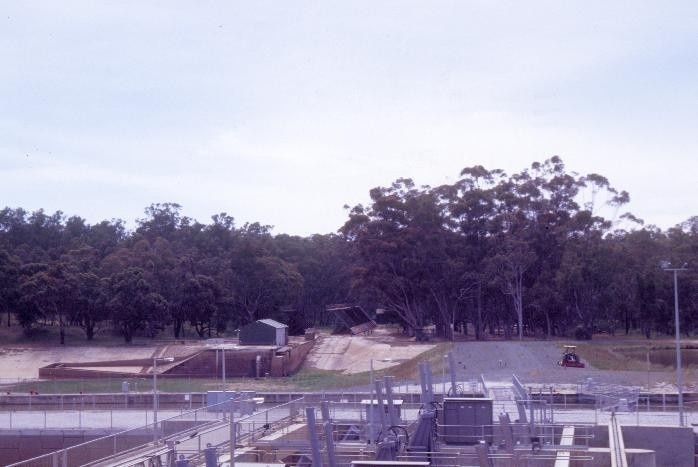 It was the culminating development which gave full effect to the Torrumbarry Irrigation System which was created in the later part of the nineteenth century and the early part of the twentieth century. The harnessing of water assets in the region began on a small scale on local farms as early as the 1860s, diverting water from local streams and ephemeral lakes. 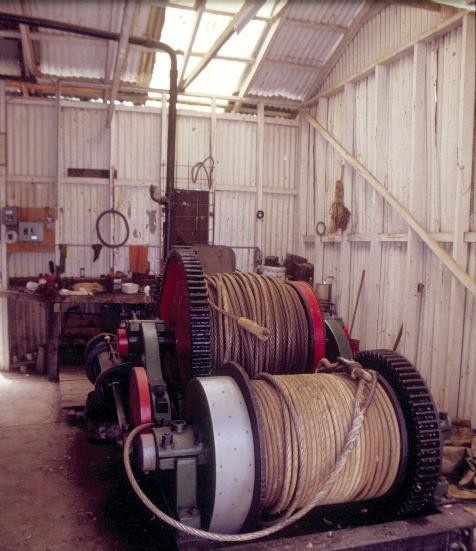 Later local irrigation trusts were empowered to expand these earlier works, link them into larger networks and invest in large scale pumping facilities to take water from the River Murray. In 1886, following a Royal Commission, a new Act enabled concerted action and a series of National Works were sanctioned to consolidate the system. 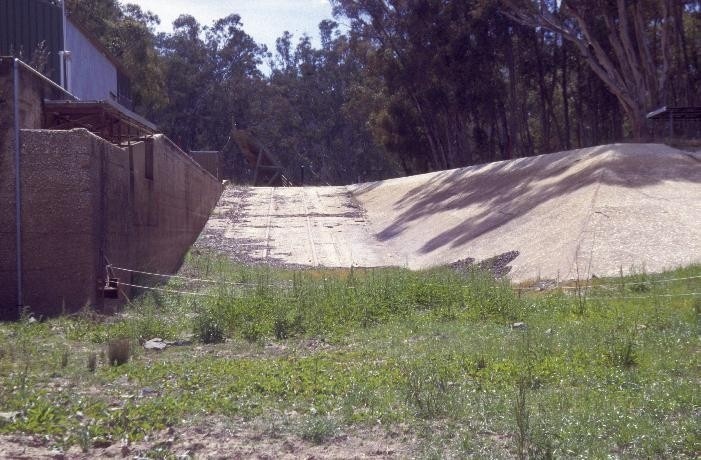 Thus all of the principal features of an extensive irrigation system were in place by the beginning of the 20th century, but the level of the Murray at the mouth of Gunbower Creek was still only sufficient to feed the system by gravity at times of high water. 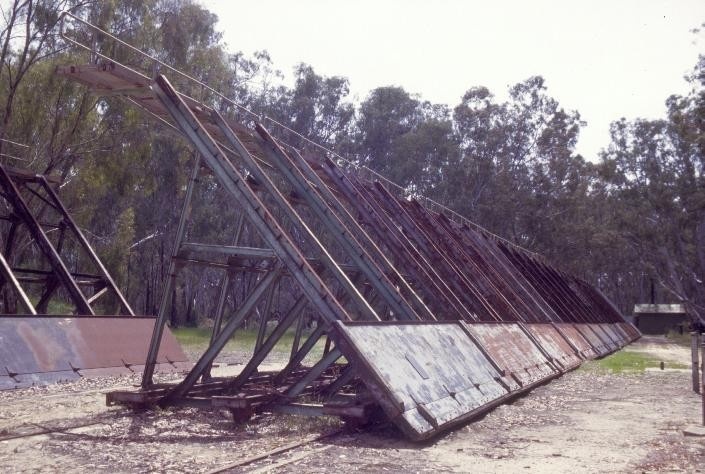 The Torrumbarry Weir was only constructed when successful negotiations between the State governments of Victoria, New South Wales and South Australia resulted in the 1915 formal River Murray Agreement. 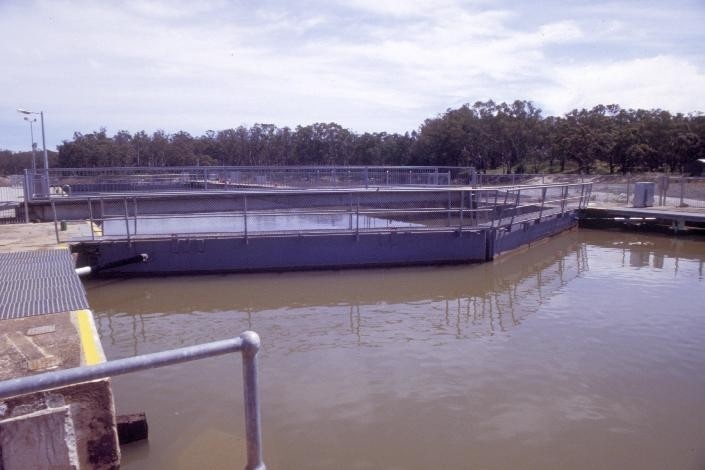 This proposed the construction of storage reservoirs in the river's headwaters as well as a series of locks and weirs in South Australia and along the Victoria NSW border. Construction on the Torrumbarry Weir and Lock was started in 1919 and completed in 1924. The removable weir raised the water level enough to provide constant gravitational flow to the system and render the various downstream pump installations redundant. 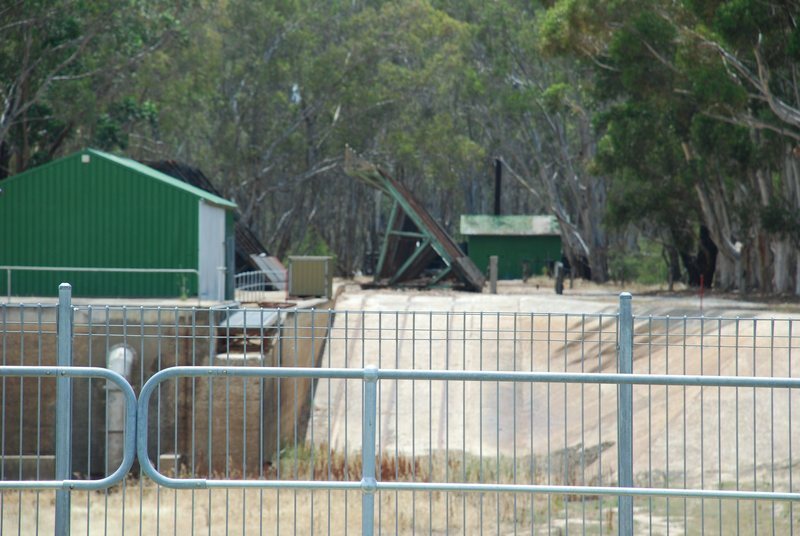 The original Torrumbarry Weir is no longer in use. In 1992 leaks were noticed coming from the concrete apron of the weir, and after a thorough engineering investigation it was decided to replace it. Work began in June 1994 on a new $36 million construction, and this was operational by August 1996. The old lock was retained and the steam winch and racks of trestles were preserved on the original island created in the bend of the Murray. The original weir comprised a concrete-reinforced rubble wall incorporating 14 removable steel trestles which were equipped with drop bars and ran on railway lines so they could be winched out of the river in flood times or for maintenance. The wall remains, and the old trestles, steam boiler and winch-house are visible on the original island created in the bend of the Murray. To west of the original weir is a lock chamber which was designed to enable river traffic to bypass the weir. A modern concrete weir equipped with large electrically-operated radial gates was constructed in 1996. This required the realignment of the river. The irrigation system to which the old weir gave effect in 1924 comprises a series of natural watercourses and water bodies connected by artificial channels and infrastructure. This forms a cohesive network along which water from the River Murray can be supplied for irrigation within the Torrumbarry Irrigation Area. A large interpretive centre has been built on the west bank, close to the western end of the new weir. A section of one trestle is on display in that centre. This site is on the River Murray, about 9km east of Gunbower and lies amidst the traditional lands of the Wamba Wamba, Barapa Barapa and Wadi Wadi Peoples. The site has close links the engineer J.S. Dethridge, Commissioner of the Victorian State Rivers and Water Supply Commission who was a major contributor to the original design and implementation of the system for controlling the waters of the Murray. He provided the original design for Torrumbarry Weir and is also famous for designing the Mildura Lock and Weir, the only other lock and weir of similar design. He also designed the Dethridge meter, a volumetric water meter previously widely used across Australia for the measurement of irrigation water. 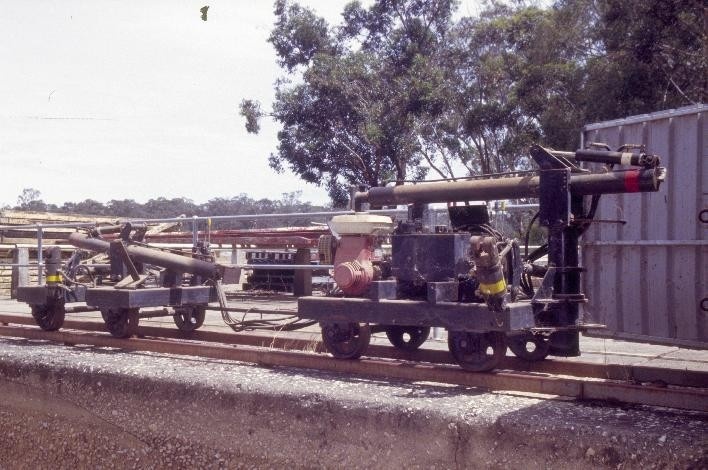 The Torrumbarry Lock has supported the role of the Murray in providing transportation to inland Victoria and New South Wales. 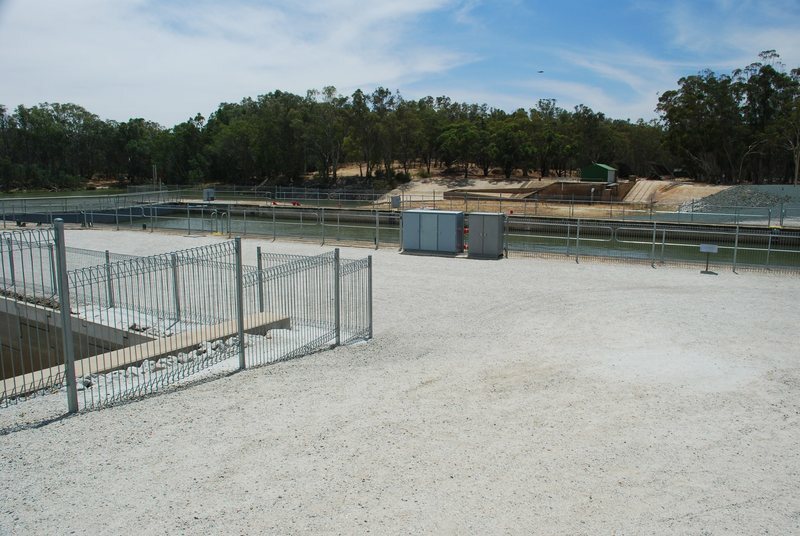 It has important associations with the historic Port of Echuca, allowing boats access to the Echuca slip for restoration, and for private and commercial tourism operations. As Executive Director for the purpose of the Heritage Act 1995, I give notice under section 46 that the Victorian Heritage Register is amended by modifying Heritage Register Number H0993 in the category described as Heritage Place. Retention in the Heritage Register of all of the place shown hatched on Diagram 993 encompassing all of Crown Allotment 35C, Section D, Parish of Patho, part of Crown Allotment 35B, Section D, Parish of Patho, and part of Crown Allotment 2052, Parish of Patho, and removal from the Heritage Register of the area shown cross-hatched on Diagram 993. Cohuna and District Historical Society 2010 VHR nomination for Gunbower Weir. East L.R. 1934 Irrigation and Water Supply in Victoria in One Hundred Years of Engineering in Victoria 1834-1934, Institution of Engineers, Australia. Kaufman R. 2011 Water Heritage Study, Stage 1: Torrumbarry Irrigation Area Including: Thematic Analysis & Summary History; Site Gazetteers, report for Northern Victorian Irrigation Renewal Project. Summerton M. & Kellaway C. 2007 Inventory and Report on Historic Places in the VEAC River Red Gum Forests Investigation Area.
. Minor works, maintenance and replacement (like with like) not detrimental to the cultural heritage values of the place.
. Fire suppression activities such as fuel reduction burns, and fire control line construction, provided all significant heritage features are appropriately recognised and protected. Note: Fire management authorities should be aware of the location, extent and significance of historical and archaeological places when developing fire suppression and fire fighting strategies. 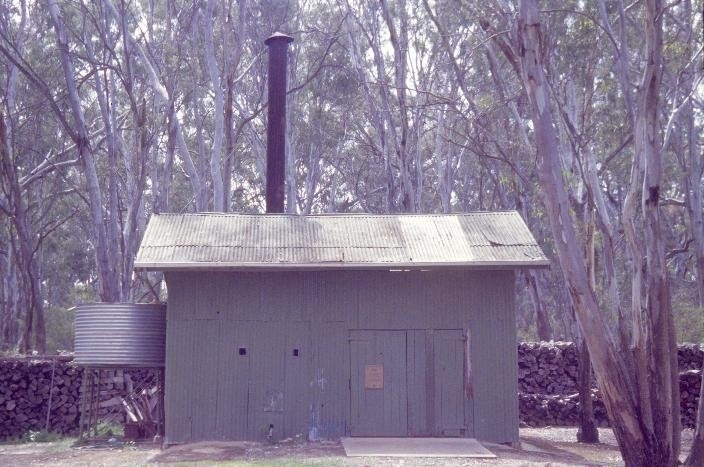 The importance of places listed in the Victorian Heritage Register and the Victorian Heritage Inventory must be considered when strategies for fire suppression and management are being developed.
. Weed and vermin control activities provided the works do not involve the removal or destruction of any significant heritage features.
. development including emergency stabilisation necessary to secure safety where a site feature has been irreparably damaged or destabilised and represents a safety risk to its users or the public. 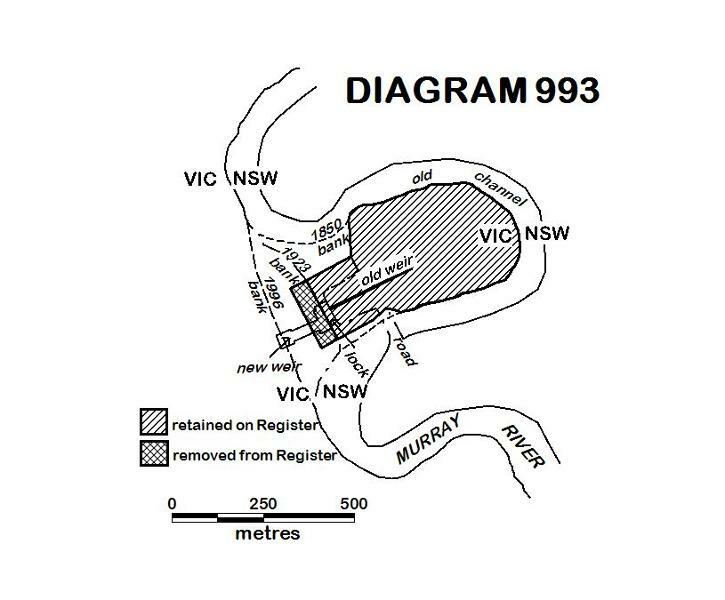 The extent of registration of the Torrumbarry Weir Complex on the Victorian Heritage Register affects the whole place shown on Diagram 605418(A) including the land, all buildings, roads, trees, landscape elements and other features. Under the Heritage Act 1995 a person must not remove or demolish, damage or despoil, develop or alter or excavate, relocate or disturb the position of any part of a registered place or object without approval. It is acknowledged, however, that alterations and other works may be required to keep places and objects in good repair and adapt them for use into the future. Through the registration of original fabric and the steam-powered machinery it is desired to retain insight into the innovative technology behind the operation of an early twentieth century removable dam. The purpose of the permit exemptions is to allow works, which do not impact on the significance of the place to occur without the need of a permit. As an industrial site containing machinery and other hard elements there may have to be Occupational Health and Safety considerations to allow safe public access and/or security measures taken for the protection of the plant.